Update: Actually, no it’s not, it’s BANK and I misread it, but my photos are still relevant (what a relief!) and I’ve modified my post accordingly apart from the title. What could possibly be better to write about than scenes along the river bank, the flow of the water and being part of it. 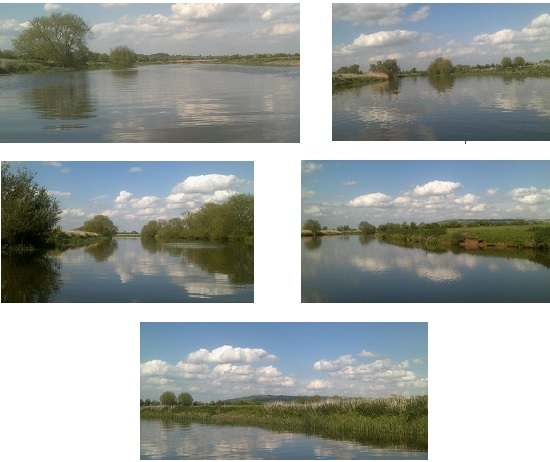 The above are a selection of photos taken from the boat on our first trip up river in May 2015. The water was like glass, and as we puttered along, we felt part of another world. 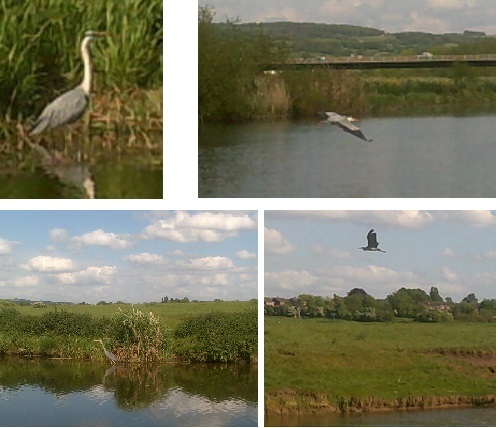 The wildlife we saw both along the river bank and in the fields was amazing, from herons to kingfishers, geese, ducks and swans. It was wonderful to see things from their perspective, something you can’t appreciate in a car, and indeed a lot of the scenery was inaccessible by road. The flow of the river on such days was gentle and serene, hardly noticeable if it hadn’t been for the reeds stretching their tendrils beneath us. Our boat, a 41 foot Sea Otter, had a draft of just 18 inches, so we could pass through quite shallow waters, and believe me, en route to Stratford Upon Avon there are a fair few! All locks bar one on the Avon are self operated and once secure inside, the power and speed of the water locking up is awesome. On more than one occasion we had a bit of a struggle keeping the boat secure, but we got the hang of it and into a routine so that when it was just us, most times it was plain sailing. I developed muscles in places I didn’t know I had places. It’s almost two years now since we took her up for brokerage, a sad but enjoyable trip as we finally got to explore the canals, even if it was only one way. The entire trip is catalogued with a prefix of ‘Final Trip…..’ if anyone would like to read about it. This is the last entry, so you can work backwards. Photo: berthed on the river bank at Stratford Upon Avon August 2015, our second trip. How wonderful these little shallow boats are – lets you exist in a special little world a bit apart., Such experiences reward with lessons and observations that continue all your life. It was a good life, and one I was glad to experience. The water is so smooth and I love the reflected clouds, too! Wonderful, both the photos and life on the boat. We enjoyed our time as liveaboards. We miss it, I must admit.